Our team consists of 30 creative and experienced employees. We specialise in research and institute construction as well as cultural buildings. doranth post architekten GmbH have been active in Munich since 1995 and plan construction projects in Germany, Austria and Switzerland. In addition to office buildings and buildings for culture and art, their focus lies in the planning of highly complex laboratory buildings for research and education. Beyond classical architectural services, the office also handles the planning of outdoor facilities and laboratory facilities, as well as conducting feasibility studies and requirements planning. Our main focus is open dialogue and a trusting collaboration with builders, users and planning partners throughout the entire planning and construction process. On Wednesday, 05.12.2018, our project of the new building "In Vivo Pathophysiological Laboratory " on the campus of the Max-Delbrück-Center Berlin-Buch was handed over to the client. 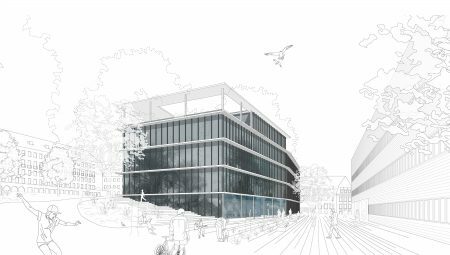 doranth post architekten GmbH were awarded first prize in the competition for the new building of the Helmholtz Institute for RNA-based Infection Research in Würzburg in October 2018. 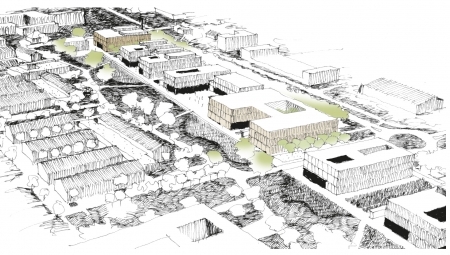 In July 2018, the contract for the new buildings of the Faculty of Veterinary Medicine in Oberschleißheim was awarded to doranth post architects as part of a VgV with a competition to enter.